Winifred Cooper (MBE) was born in Wimbledon in 1909 and worked as a journalist in Fleet Street. She married Stanley Cooper who worked for Trinity House and in 1941 they moved to Harwich. Winifred’s first impression of Old Harwich was one of dereliction, yet the place had its fascination. When Winifred Cooper first saw Foresters, it was empty and derelict after bombing, yet she thought it has great possibilities. It was a lone battle, her husband; Stanley had declared that he was not interested in the place until the carpets were down. Repairs started in 1952, but work was disrupted by the big flood of 1953. However, Foresters was on an island as water swept down Church Lane and around Wellington Road to the High Lighthouse. But the cellar was full of water, since all the cellars in the street were interconnected. Winifred and Stanley moved in, in May 1953, the repair work was not complete but it was habitable. Always interested in people, Winifred was a member of the Harcourt Players and later the Dovercourt Dramatic Society. She was also founder member of the Parochial Church Council. 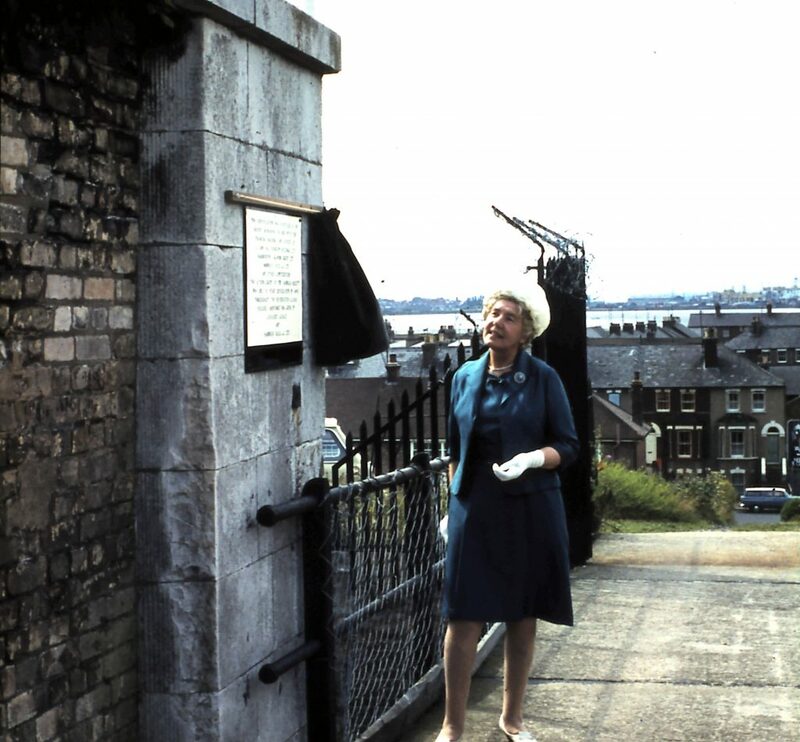 Soon after moving into Foresters, the Coopers joined The Harwich Protection Association (a forerunner of the Harwich Society), This had been set up to combat Trinity House’s plans to develop the whole of The Quay, with the streets blocked off at the end to make space for the new depot and store. The Association ended about 1956. This year has been full of surprises for me – first the extravagant gift of a word processor, next the award of the MBE bestowed upon me in the Queen’s Birthday Honours List for services to the community, followed next evening by a dinner at the Pier Hotel hastily arranged by the Executive Committee. I have been completely overwhelmed by the congratulations and good wishes I have received and then you all most sincerely for the support you have given me over the years.